Melissa & Kat live in California. 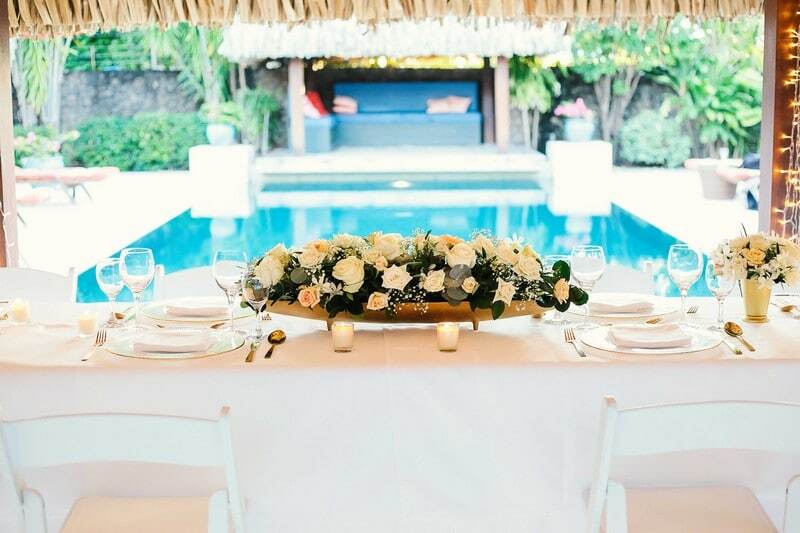 They reached out to me in mid-2017 to plan a small destination wedding in Moorea on May 29, 2018. 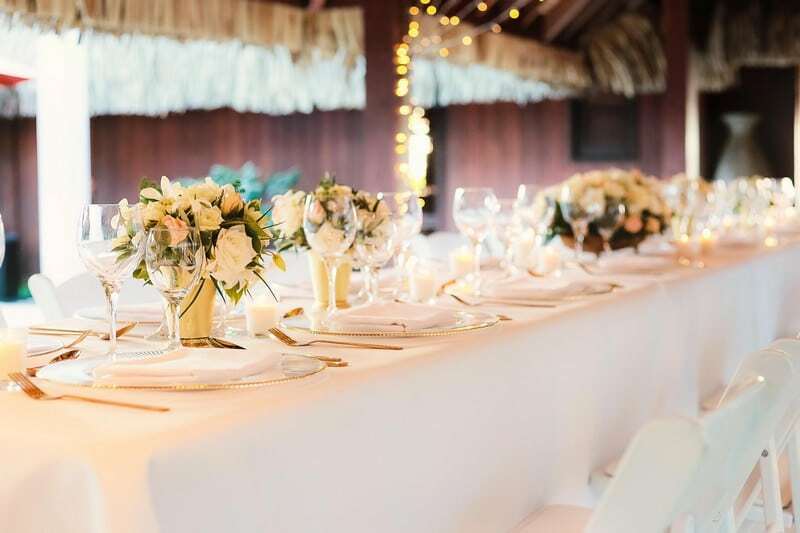 They were only planning to invite immediate family members and their maids of honor and wanted to do an intimate ceremony beach-side in a secluded, private spot. They secured a beachfront vacation rental place on the North-Eastern side of the island, a giant villa estate built in a glorious Polynesian-style architecture, boasting an infinity edge pool and no less than 5 bedrooms with en suite bathrooms to accommodate their chosen family so they could spend a few days of total bliss all together. 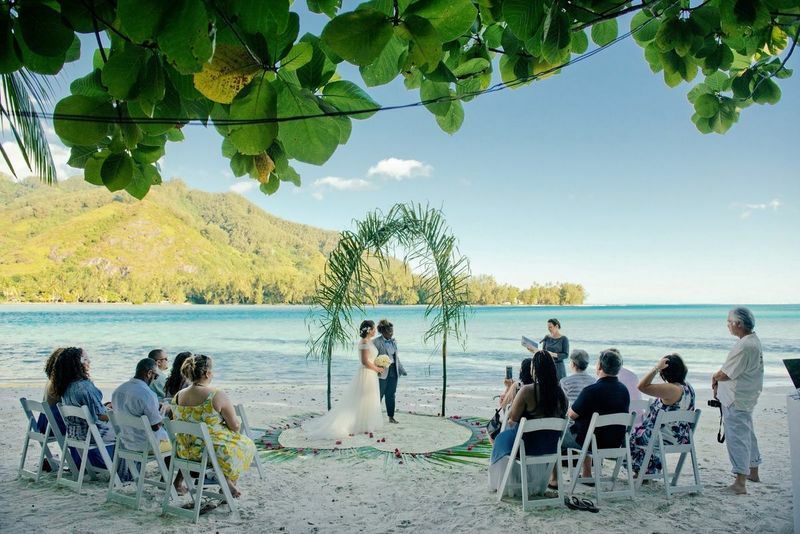 Although the beach right there at the villa is absolutely lovely, Melissa & Kat had fallen for the private islet beach location that I often take my couples to for their ceremony, on the North-Western side of Moorea. Melissa & Kat are very different people, but Melissa says that it’s their differences that make them work… they balance each other out beautifully & Melissa also says that Kat truly brightens up her life! May 29 was a very special date for these two, as it was on that day, two years earlier that as they were spending the weekend in Joshua Tree, a place that is so special to them, Melissa proposed to Kat. It was the perfect weekend Kat says but Melissa was acting super weird the entire time and she was so nervous, stuttering and unable to get out what she wanted to say that she actually thought she was breaking up with her! To her surprise, it was the exact opposite and of course, she said “Yes!” to the ring Melissa was hiding in her pocket. 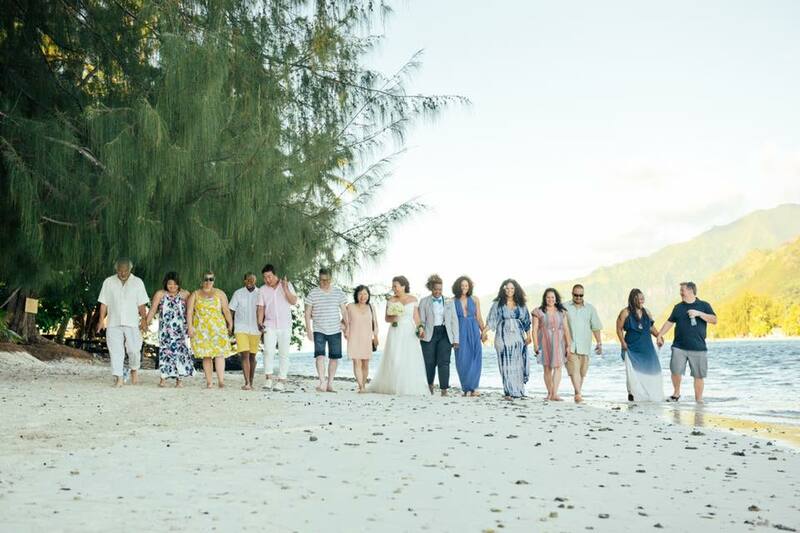 On the day, after getting the girls’ hair & make-ups done, the 16 of us headed for the private islet beach to celebrate the meaning of chosen family and love, and of course to celebrate Melissa & Kat’s many happy years together to come. The late afternoon colors over the lagoon turning yellowish as we were getting closer to sunset time were amazing! After the ceremony they did some beach photos and then we drove back to their villa where fairy lights, candles and an elegant dinner set up awaited. 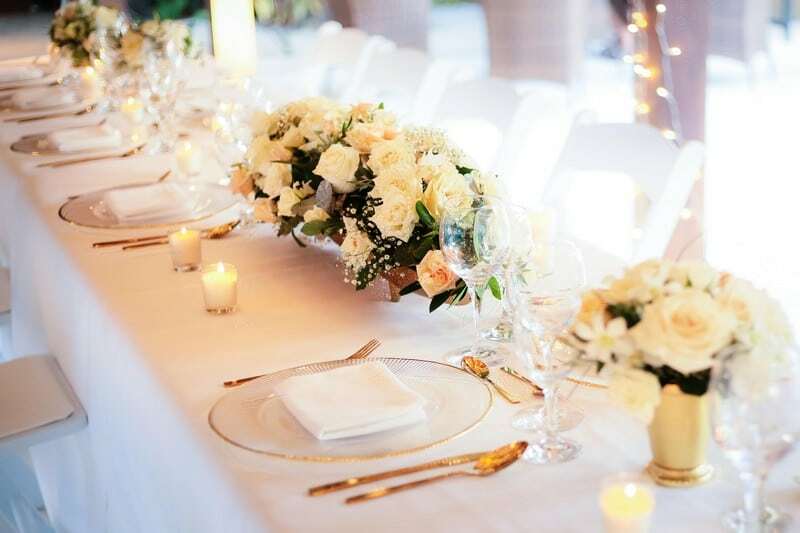 They enjoyed a lovely family-style dinner and said they absolutely loved their 2-tier wedding cake with vanilla and ganache with praline-flavored crumble inside, covered with white fondant and decorated with flowers matching Melissa’s bouquet and the floral table arrangements. […] When people ask me, “How was the wedding?”, I always say, “It was more that we could’ve hoped for.” I really believe that Nelly was the biggest factor in making our wedding such a success. She kept us on-time on the day of the wedding and officiated our ceremony beautifully with personal touches (yes, she is also an officiant!). 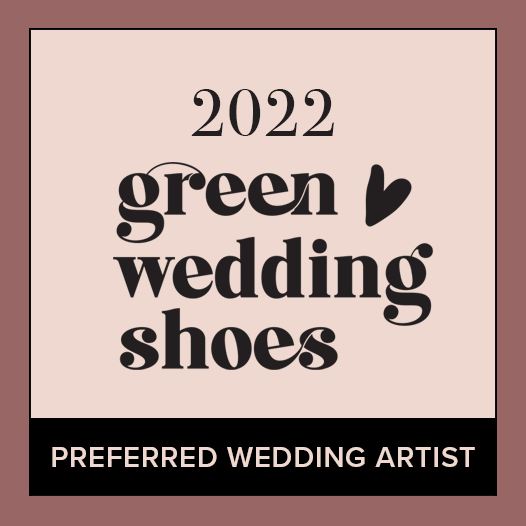 All the vendors she recommended from the florist to the makeup artist to the hairstylist were absolutely perfect. 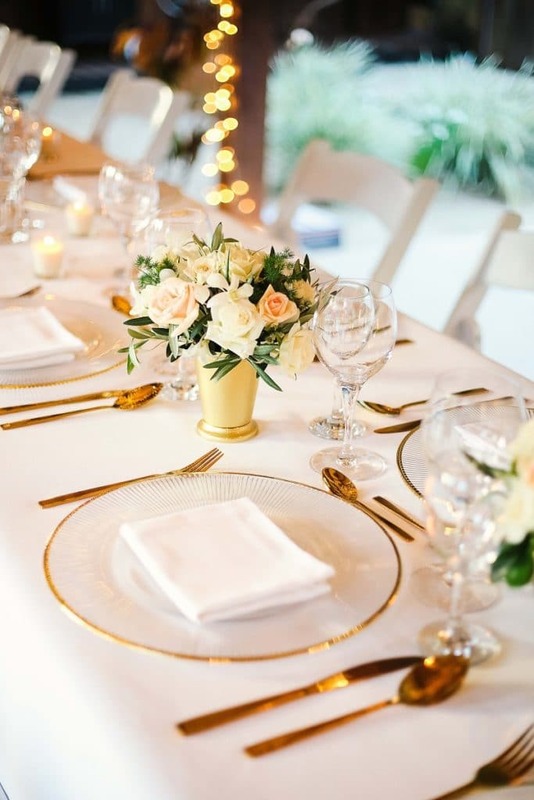 We were especially impressed with the pastry chef and the caterer because we weren’t able to do a typical tasting, but all the food was delicious and the cake was the best wedding cake we’ve ever had. 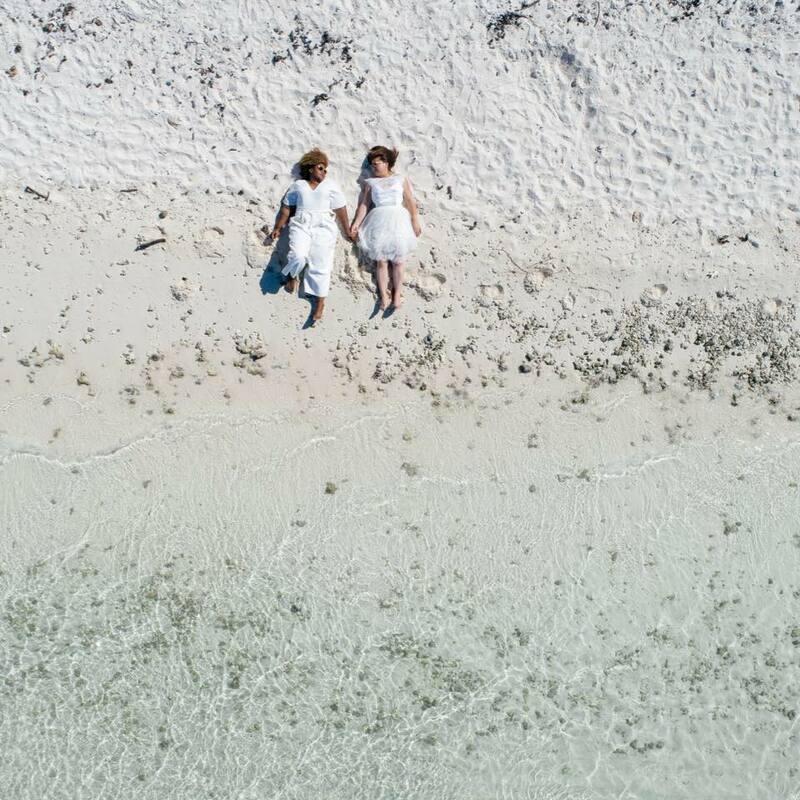 Nelly is really the best and I would highly recommend her to plan any wedding in French Polynesia. If she were here in the States, I would be recommending her to everyone I know. Thank you, Nelly, for making our wedding more than we could’ve hoped for! 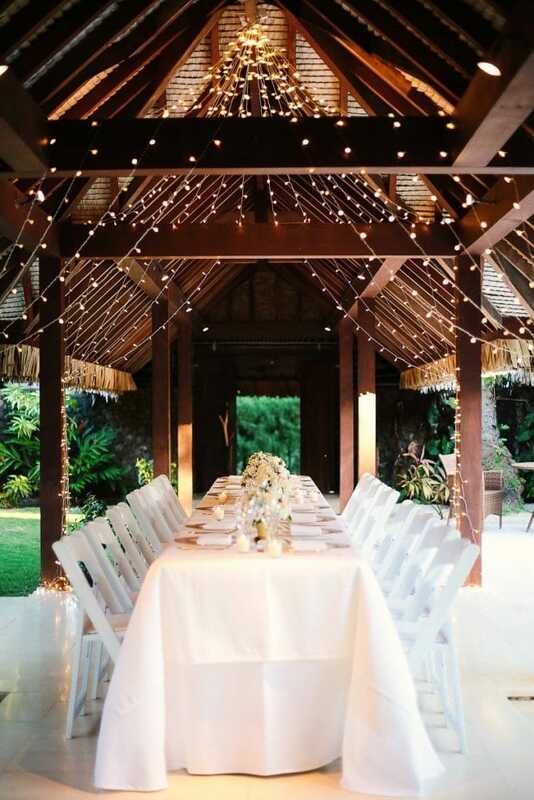 Do You Want My Help To Plan A Stress-Free Destination Wedding In Moorea? Contact Me Here To Get Started!